Top speed is 320 km/h not 326! Please correct it! There is NO point in making this car, None, What is the point when the Plus gets EVERYTHING? All the press, All the tests, All the publicity, Everything, Its the same with Porsche S cars, Like if there gonna make an S or Plus version, ATLEAST wait a year or so before bringing it out, This literally has 1 track time, And what 2 tests of it?.. Power is 540 ps/533 hp. The magny-cours club laptime was run on the Magny-cours GP circuit and it was the 610 PS r8 v10 plus. 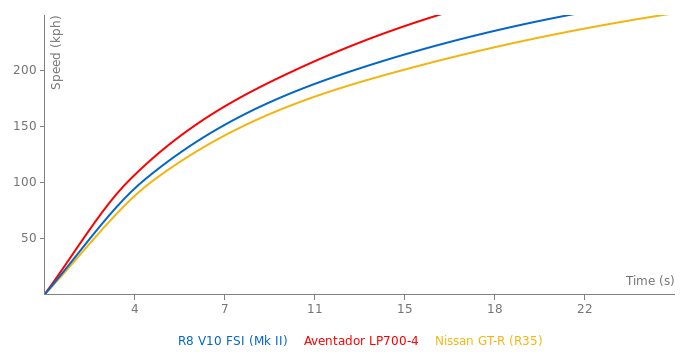 Curb weight of 1669kg for the R8 V10 from the sport auto test. The Magny-cours time was run on the F1 track and it was a V10 Plus. The power is 540 ps, not 540 bhp. Its just an error in the specs it always happens, Its the same size as the last generation. I think it looks quite nice. Are you sure it's taller? That is never a good thing for sporscar looks. 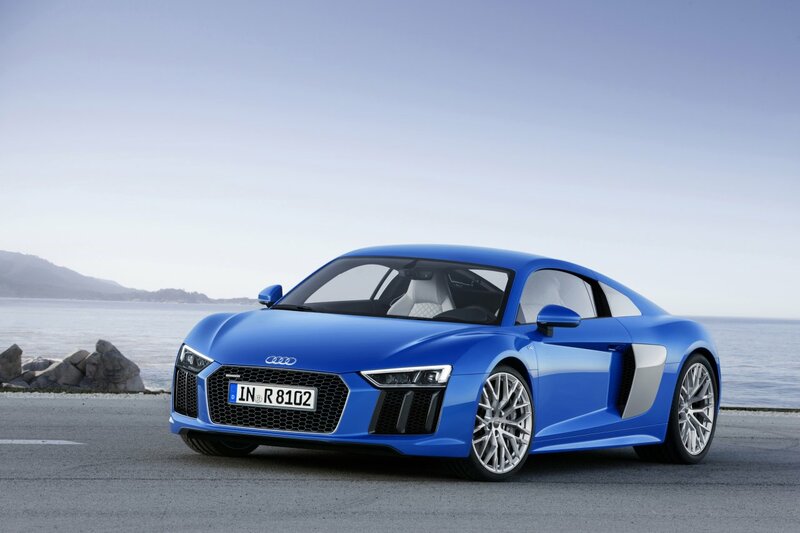 I think it looks a bit too similar, but less curvy, more edgy and for some reason taller than the previous R8. I think i prefer the looks of the predecessor over this one. And the side blade intake was quiet unique i miss that too. Also this car's face looks a bit weird i cant put a finger on it. Could be the squinty headlights. They did+, But i didnt add that version, Simply because i didnt feel like it. I loved previous R8 for few reasons. It was great everyday mid engined V10 N/A supersport with fun handling and timeless design. I have no doubt that this will be better, but i doubt that it will supras its predecessor. -They consider V6 or diesel engines to fit in... Diesel R8 sounds weird.